Pronounced (jay- ka- pel-ian) Gaelic for "Ice Pony", was started in 2011, and has been a very active member in the United States Pony Club organization. 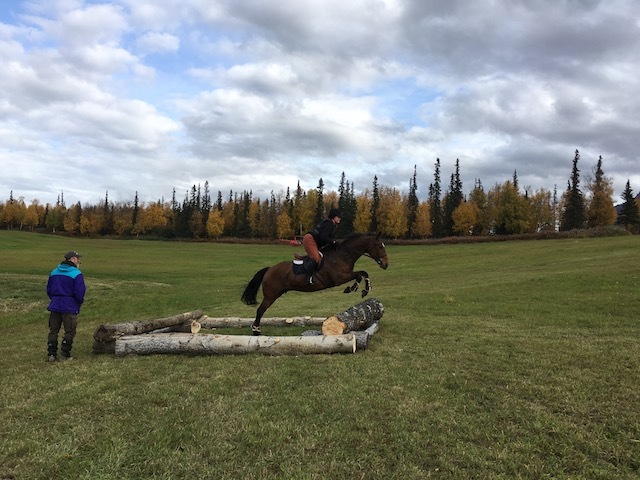 Pony Club is a yearly membership that has once a month meetings, as well as regional activities that connects horse enthusiasts around Alaska. 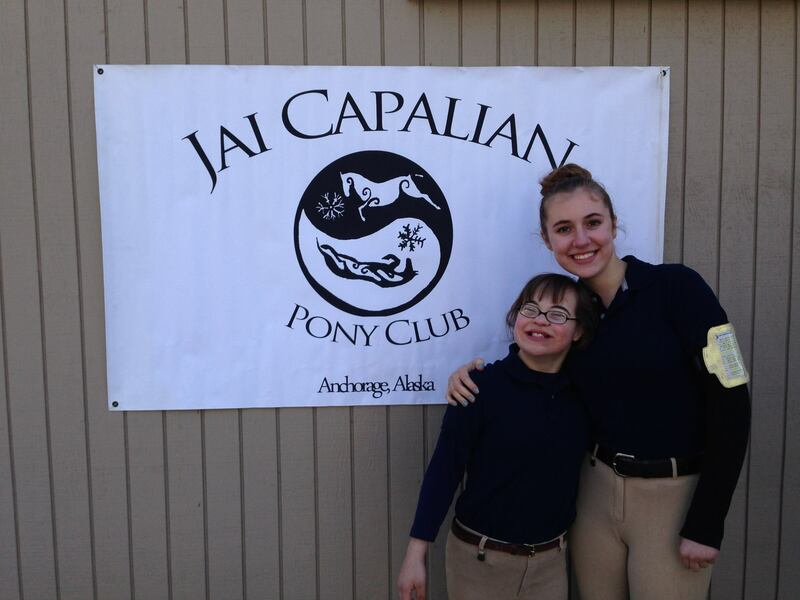 If you would like to make a tax deductible donation to the Jai Capalian Pony Club please click on the donation button. THANK YOU for your support. Contact Lesley Zacharias, the DC (District Commissioner) for more information on how to join Jai Capalian Pony Club. Allie Carpenter is a life-long horsewoman with over 20 years of experience in the equine industry in Orange County, California. Allie's equestrian career began with the Irvine Valley High Achievers 4-H club where she sold a pig to purchase a horse. Soon after purchasing her horse she realized that she knew very little about horses and paired up with local dressage trainer Kathy Whitson. From there she moved to NATRAC barn Strand Training Stables and then on to Hunter/Jumper training with Ruthanna Bridges. Allie showed in Local, County, and A-Level circuits throughout high school and rode for her high school equestrian team. She enjoyed bringing along an OTTB from scratch and into the jumper and equitation rings. After high school Allie worked for Ruthanna Bridges as a riding instructor and barn manager for 30 horses while attending college and eventually obtaining her B.S. in Geological Sciences. Around the time of her graduation the opportunity for Bridges Equestrian to open a Pony Club Riding Center presented itself and Allie quickly developed the Bridges Equestrian Pony Club Riding Center into one of the largest and most active Pony Clubs in the United States. From the beginning Allie has attended all Standards and Certification seminars and countless Pony Club clinics, championships, national level testings, meetings and rallies to further her Pony Club knowledge. Currently Allie leads upper level preps for all Bridges Equestrian Upper Level candidates, instructs 30 weekly students, oversees the care of 35 horses, coaches at shows throughout California, manages a staff of 7 instructors and yard managers, is the go-to club level examiner for many local Pony Clubs, serves as the Regional Supervisor for the USPC So Cal Region, serves on the board of the San Juan Capistrano Equestrian Coalition and is in charge of all Pony Club mounted and unmounted instruction for Bridges Equestrian Pony Club Riding Center. Allie will be teaching a Horse Management Clinic from 10-2 Sunday, September 16. The morning session will involve an in depth look at different types of wraps and why we use them, starting with basic polo wraps, stable bandage, and then moving into more complicated wraps such as the spider bandage and a figure eight hock bandage which can be used to de-mobilize a leg. After wraps we will move into rules of feeding, and how to properly calculate changes in feed and calories with increased workload. This will involve an in depth discussion on nutrition, and calculations of forage, concentrate, and vitamin needs based on a horse's individual needs. We will a 15 minute break for lunch, we and will have pizza and water available at no cost. The afternoon will involve a detailed discussion on Longing. How to properly outfit and longe. She will discuss developing a training routine that will create progress, with fitness and training your horse safely. She will finish up with a discussion on confirmation and movement. And there will be time for questions after.